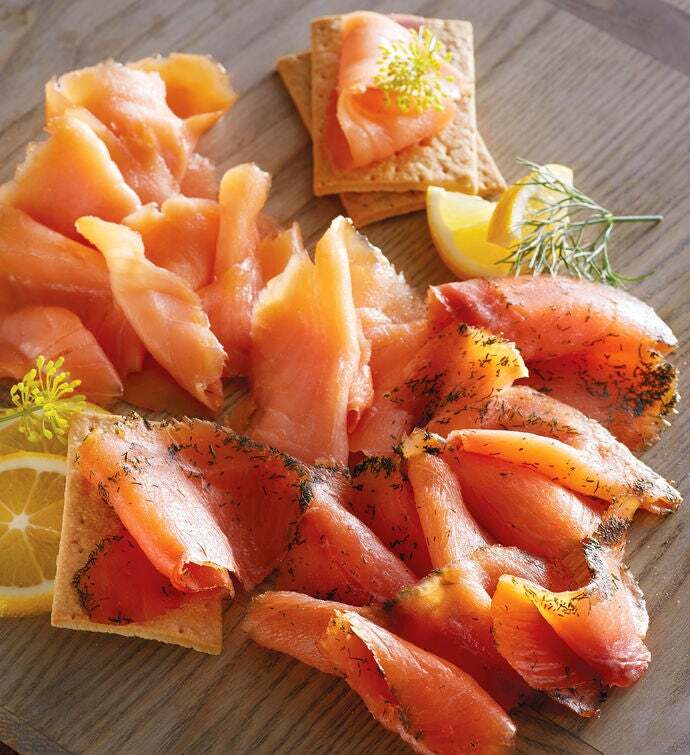 This premium sampler of salmon features eight ounces of rich and hearty traditional-smoked Nova Atlantic salmon that has been hand-cut, cured, and slowly smoked over real hardwood. It also includes 8 ounces of gravlax that is cold-smoked and cured with a mixture of dill, salt, sugar, and black peppercorns. The cold-smoking process allows the rich, savory flavor and delicate texture of the salmon to shine through perfectly.